Sneak Peak! Do you know there are some great bank owned homes from Fannie Mae coming soon? 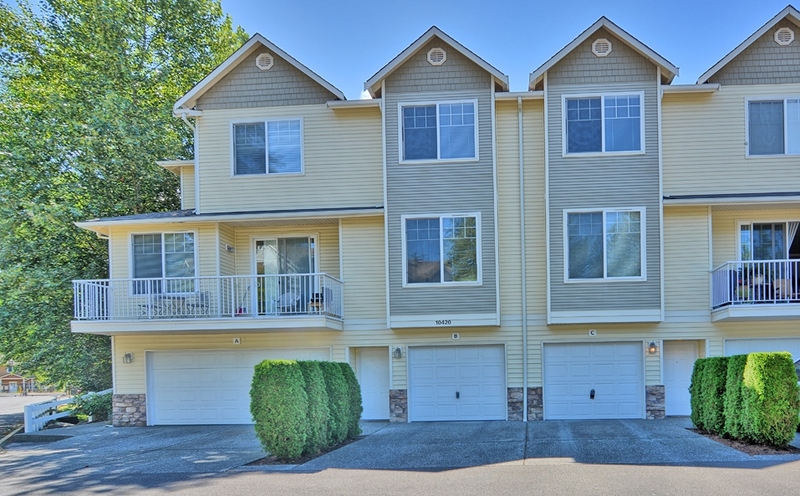 Here is one in Bothell that will hit the market in a few weeks. 1994 Rambler with nice tile floors, island kitchen, gas fireplace, 3 bdrm/ 2 bath/ 1632 sq ft. List price will be under $340K. Want more info? Hurry and ask BEFORE it hits the market. You just bought a $300,000 house so how much interest do you pay? You have finally closed on your new home and with great rates and a beautiful home you can now relax all the hard work is over right? Not exactly. So get settled in and get use to a mortgage payment then, after a few months take a look on how you can get that mortgage down a bit faster. Either right away, or in the future, there is a better way to pay that 30 year mortgage down quicker and build your equity faster. Here is a current payment schedule based on a approximate 4 1/8% rate. As you can see the first few years you are paying an astronomic amount in interest. Just think of what just one extra payment a year could do for you. Here is a link to a great site I give to my buyers and sellers. While I am not a mortgage broker (I work with some great ones) I do believe all of us Realtors should provide better tools to our clients and be informed. After all, a home buyer, or seller, who understands the process is more comfortable with their home and their purchase. Not only does this site have mortgage calculators. Check it out there is every kind of financial calculator you can think of. It actually is a bit addicting so have fun with it! Mortgage amountOriginal or expected balance for your mortgage. 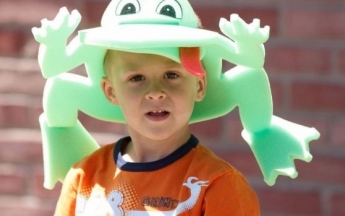 Term in yearsThe number of years over which you will repay this loan. The most common mortgage terms are 15 years and 30 years. Interest rateAnnual fixed interest rate for this mortgage. Monthly paymentMonthly principal and interest payment (PI). Total paymentsTotal of all monthly payments over the full term of the mortgage. This total payment amount assumes that there are no prepayments of principal. Total interestTotal of all interest paid over the full term of the mortgage. This total interest amount assumes that there are no prepayments of principal. Prepayment typeThe frequency of prepayment. The options are none, monthly, yearly and one-time payment. Prepayment amountAmount that will be prepaid on your mortgage. This amount will be applied to the mortgage principal balance, based on the prepayment type. Start with paymentThis is the payment number that your prepayments will begin with. For a one-time payment, this is the payment number that the single prepayment will be included in. All prepayments of principal are assumed to be received by your lender in time to be included in the following month’s interest calculation. If you choose to prepay with a one-time payment for payment number zero, the prepayment is assumed to happen before the first payment of the loan. 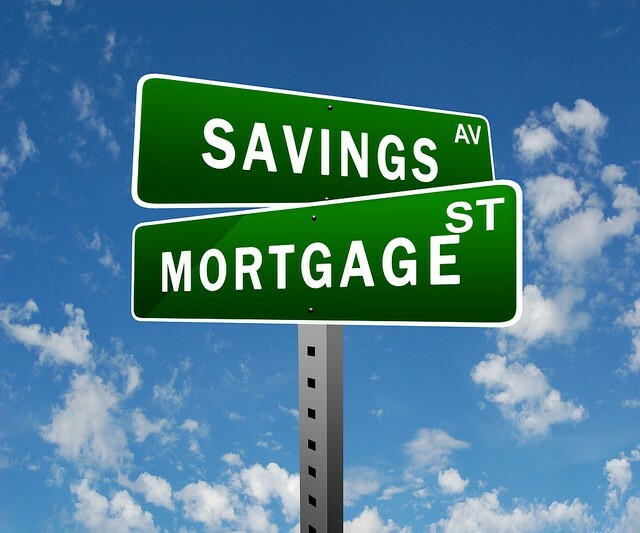 SavingsTotal amount of interest you will save by prepaying your mortgage. Report amortizationChoose how the report will display your payment schedule. Annually will summarize payments and balances by year. Monthly will show every payment for the entire term. The new home sales report for June – combined with the downward revisions for previous months – was very weak. 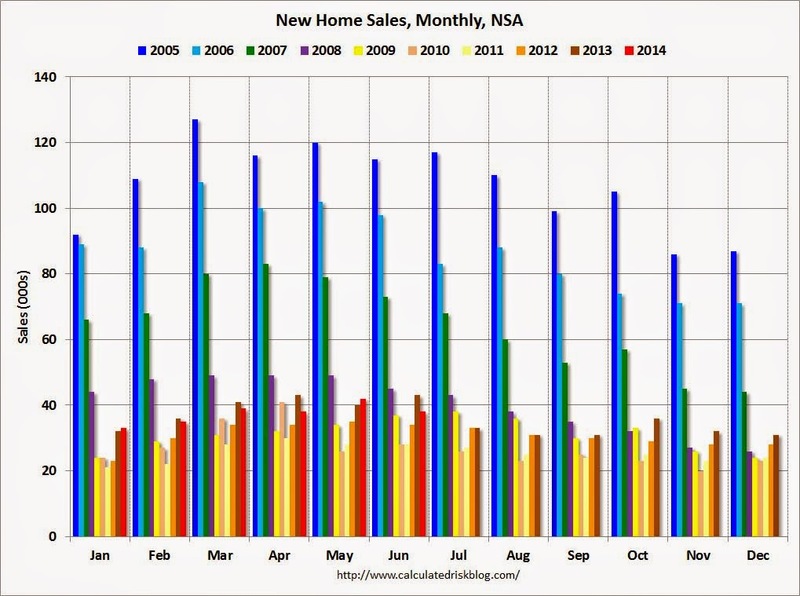 The Census Bureau reported that new home sales this year, through June, were 225,000, Not seasonally adjusted (NSA). That is down 4.3% from 235,000 during the first half of 2013 (NSA). Maybe sales will move sideways for a little longer, but remember early 2013 was a difficult comparison period. Annual sales in 2013 were up 16.3% from 2012, but sales in the first four months of 2013 were up 26% from the same period in 2012! 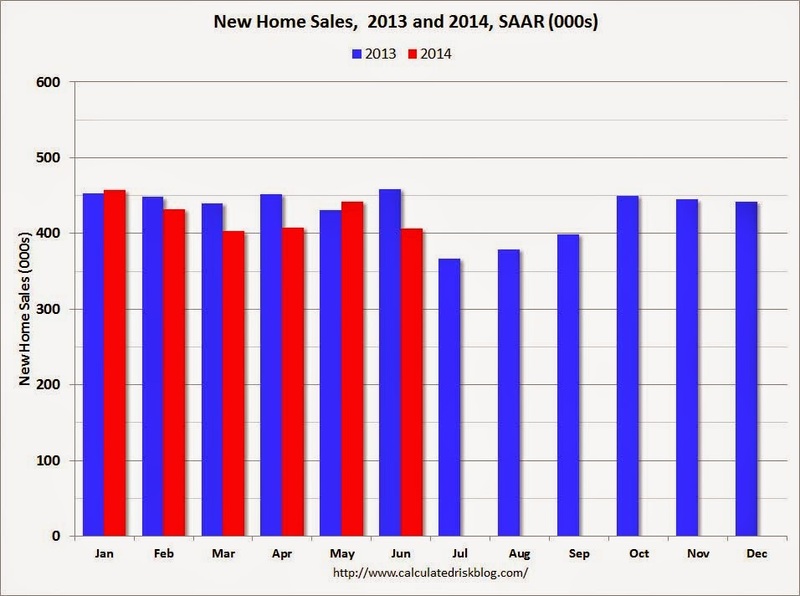 This graph shows new home sales for 2013 and 2014 by month (Seasonally Adjusted Annual Rate). The comparisons to last year will be a little easier in Q3, and I still expect to see year-over-year growth later this year. And here is another update to the “distressing gap” graph that I first started posting several years ago to show the emerging gap caused by distressed sales. Now I’m looking for the gap to close over the next few years. 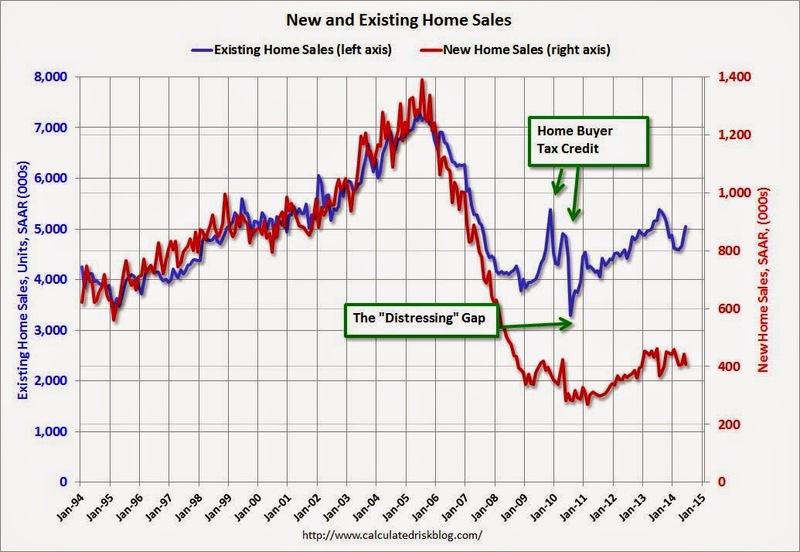 The “distressing gap” graph shows existing home sales (left axis) and new home sales (right axis) through June 2014. This graph starts in 1994, but the relationship has been fairly steady back to the ’60s. Following the housing bubble and bust, the “distressing gap” appeared mostly because of distressed sales. 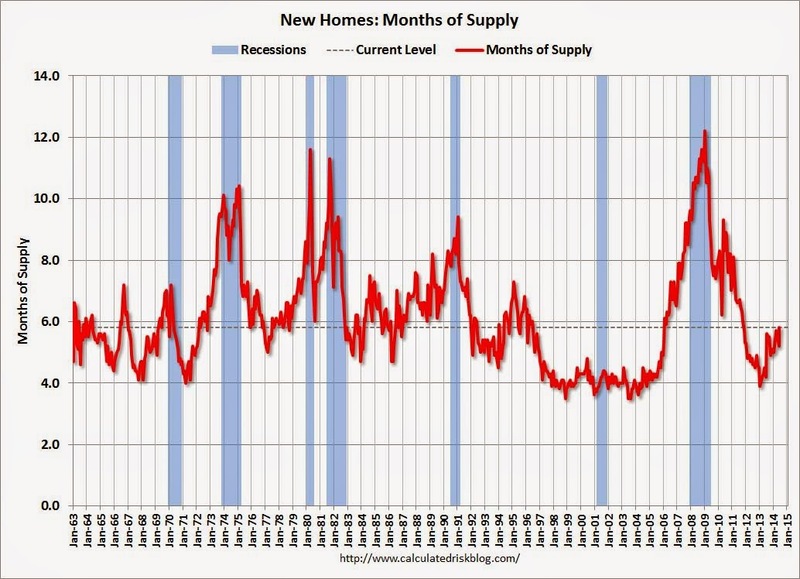 I expect existing home sales to decline or move sideways (distressed sales will slowly decline and be partially offset by more conventional / equity sales). And I expect this gap to slowly close, mostly from an increase in new home sales. The Census Bureau reports New Home Sales in June were at a seasonally adjusted annual rate (SAAR) of 406 thousand. May sales were revised down from 504 thousand to 442 thousand, and April sales were revised down from 425 thousand to 408 thousand. Sales of new single-family houses in June 2014 were at a seasonally adjusted annual rate of 406,000, according to estimates released jointly today by the U.S. Census Bureau and the Department of Housing and Urban Development. This is 8.1 percent below the revised May rate of 442,000 and is 11.5 percent below the June 2013 estimate of 459,000. 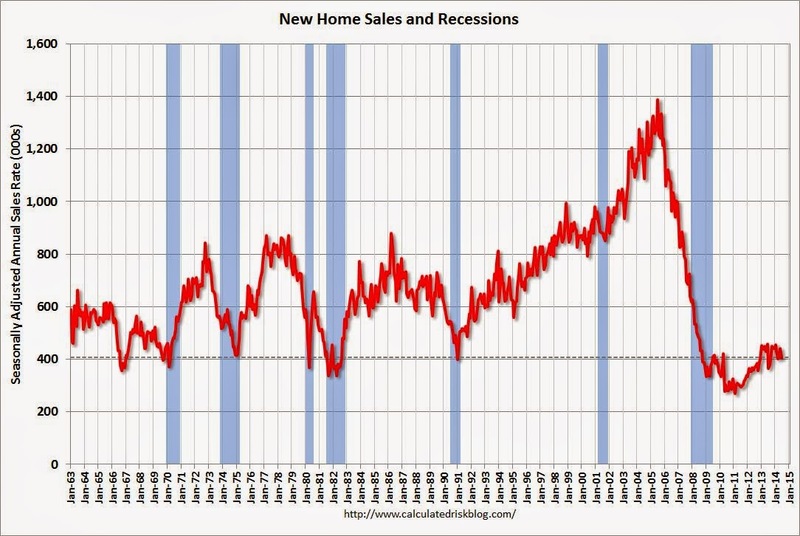 Even with the increase in sales over the previous two years, new home sales are still close to the bottom for previous recessions. The months of supply increased in June to 5.8 months from 5.2 months in May. This is now in the normal range (less than 6 months supply is normal). 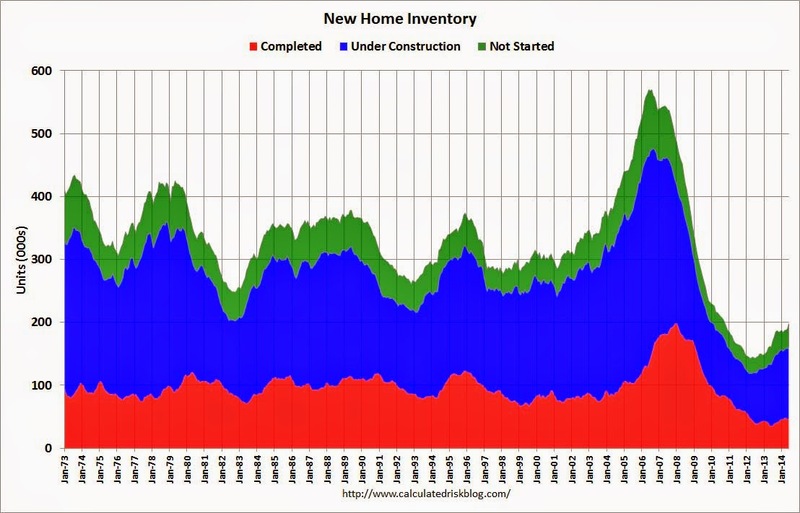 In June 2014 (red column), 38 thousand new homes were sold (NSA). Last year 43 thousand homes were also sold in June. The high for June was 115 thousand in 2005, and the low for June was 28 thousand in 2010 and 2011. This was well below expectations of 475,000 sales in June, and sales were down 11.5% year-over-year. Did you know~ The month of July is Nectarine and Garlic Month? Here is a few other fun facts for July. Join in the fun and celebrate one of these National “holiday” days. Some of these Sound Pretty Darn Tasty! Looking for something to do? Here is just a few of the great events happening this month. For the full line up of so many great events, Farmers Market and stuff to do around Snohomish County see the website . Everett-First Annual Flying Heritage Collection Skyfair! July 26th 10:00-4:00. 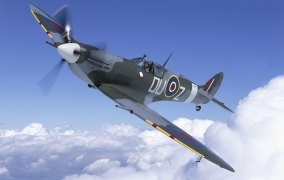 The Flying Heritage Collection’s 1st Annual Air and Ground show. And can you believe we are almost at SeaFair time? Wow this summer is flying. Seattle-Bellevue-Everett Metro area 3rd fastest-moving housing market in U.S. So you boldly painted a wall a vibrant red. Now what? Just for fun! 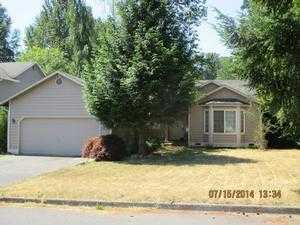 Take a look at this Everett Home listed for Sale. 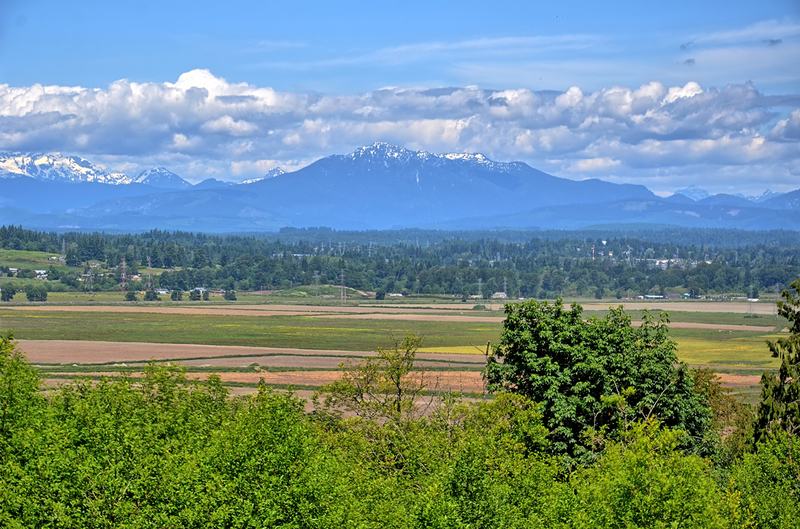 What a view of the Cascades and the entire Snohomish Valley! Can you imagine waking up each morning and having coffee on the deck to this? Its one of the very many scenic views our community offers and is the reason I call this area home. Did you know the Seattle-Tacoma-Bellevue metro area #10 best “city” to flip a house? Freddie Mac reported that the Single-Family serious delinquency rate declined in May to 2.10% from 2.15% in April. Freddie’s rate is down from 2.85% in May 2013, and this is the lowest level since January 2009. Freddie’s serious delinquency rate peaked in February 2010 at 4.20%. These are mortgage loans that are “three monthly payments or more past due or in foreclosure”. Although this indicates progress, the “normal” serious delinquency rate is under 1%. And finally….. have you been wondering which home improvement projects really pay off? Hope you like our Real Estate Awesomeness news and have a great week! 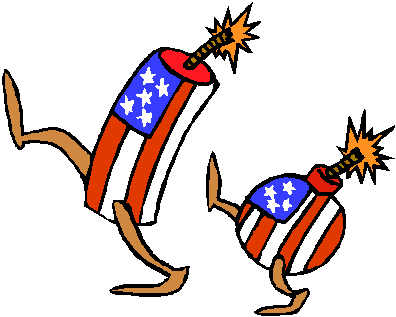 Do you know what your doing for the Fourth yet? I almost feel a tinge of disappointment that were going out of town. If we hadn’t been planning this trip since Christmas I certainly would have loved to enjoy as many as I could of the great events that are happening here in the Northwest. Here are some links to help you start planning what you may want to do. 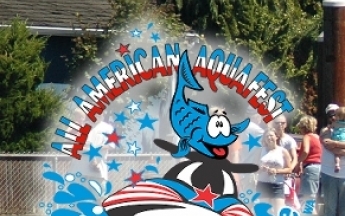 The full Snohomish County Events Calendar this has all the events including Camano Island, Darrington and all over our beautiful Snohomish County area. There are Farmer’s Markets, Aqua Sox Games and everything in between. 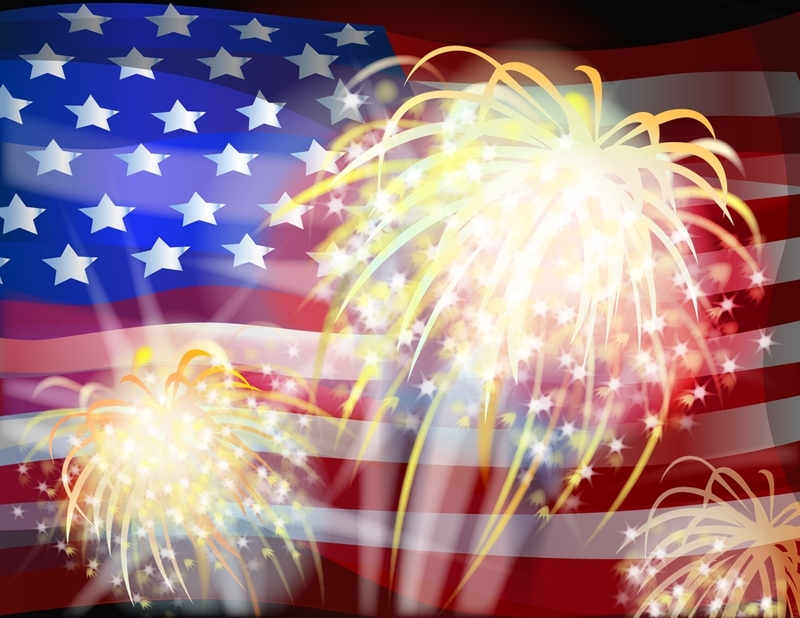 Enjoy your Fourth, Celebrate and have fun and whatever you do or wherever you go have a happy and safe one.